Rush translation services: get your free quote today! No need to wait! / Translation Quality / Where to get rush translation at no extra cost? Where to get rush translation at no extra cost? What exactly is a rush translation service? Do you need it? Rush translation? What is it? There’s no clear definition of rush translation. Normally, the term relates to works that need to be finished on the same day, or within 24 hours. But it can be different for each translation agency or translator. The ultimate cost depends on the volume of the translated text, its subject matter, specialized vocabulary, the number of translators included, and several other factors. It’s often the case that a translator requires to reorganize their work so that the rush project becomes the most significant one. If, on the other hand, you’re completely available, you might want to adhere to your standard pricing system. How much does a rush translation cost? How much more translators charge for rush translations? Again, it’s tough to give a simple explanation to this question. The translation process is different depending on the size of the document and the language used for translating. Various aspects need to be taken into account here such as specialized language, the volume of the document, how tight the deadline is – to name just a few. If taking the rush project on needs translators to rearrange their work on other jobs, it should also be considered in the rate. Not to mention, if they need to hire someone else to help them. The final price might also be different if it’s a job from one of the regular clients. There are no one-size-fits-all solutions here. What Creates a Rush Translation? So, what creates a rush translation? Is it one where the translator is needed to reset their schedule to meet the client’s deadline; or is it a task whereby the translator is required to translate more than a specific number of words per day – and how many words are we talking about? Possibly a rush project is a project that must be turned around in less than 24 hours. It’s very interesting to note the there is a variety of ways in which different translators manage rush projects: some translators ignore rush charges for their loyal clients, while others apply rush charges to everyone. Some translators don’t charge any extra cost, while some translators double their price. Some translators charge rush rates for translations enough in less than 24 hours, while others view a rush project to be a project needing the translation of more than 2500 words per day. 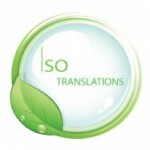 At ISO Translations, we offer high-quality language translation services in Spain, US, UK and throughout the world. We understand that the need to hire a certified legal translator may occur on very short notice. Or you may need to translate a business document and meet a short deadline. We offer a single standard price for all translation documents and content including rush projects, no matter what type. While this simplifies things for everyone involved, we are glad to say that there is no difference between something as simple as a piece of website content and a highly scientific research document within the medical field. We offer fixed rates for all sort of translation projects. 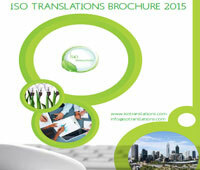 If you are looking to get rush translation services at no extra cost, feel free to contact ISO Translations!